Why did Saul Persecute the Jewish Christians? In the book of Acts, the Saul is introduced rather dramatically. After Stephen delivers a prophetic speech in Acts 7, he is seized by an angry crowd, taken outside the city and stoned. This is not a legal action, it is a lynching! 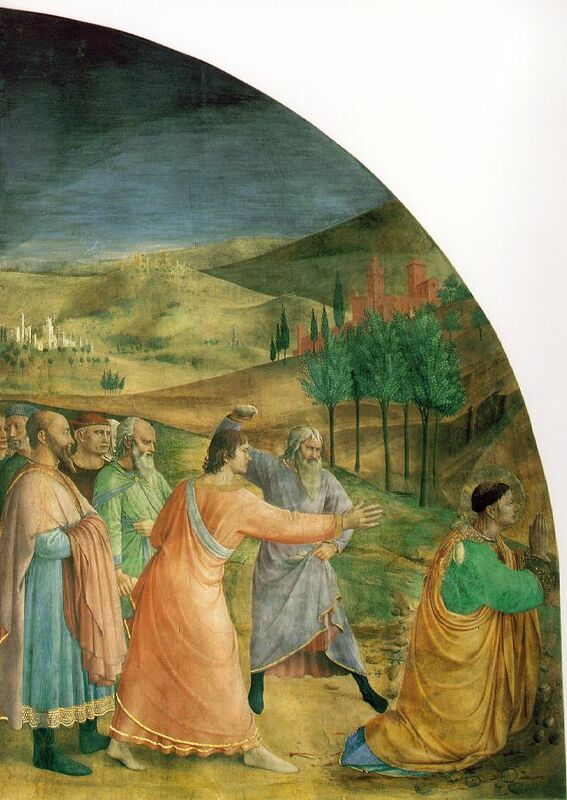 Saul “approved” of this execution (Acts 8:1). Whether Saul was a “legal representative” of the Sanhedrin is unclear, but the verb can be used for legal approval (1 Mac 1:57). Saul is described as “ravaging the church” (λυμαίνω, Acts 8:3), a word which is used of violent actions in war (Josephus, JW 4.534). What was it about Stephen’s speech that pushed Saul to such a violent response? It is important to observe that Stephen was speaking to Diaspora Jews living in Jerusalem, in the Synagogue of the Freedmen (Acts 6:8-10). He is not in the Temple speaking Aramaic to the crowds worshiping there. Stephen himself is a Hellenistic Jew attempting to prove that Jesus is the Messiah in a Hellenistic place of worship. While we cannot know this for certain, it is not unlikely that Saul was worshiping in this Greek-speaking Synagogue because he was from Tarsus (Cilicia is specifically mentioned in Acts 6:9). Stephen’s powerful argument that Israel rejected the Messiah and the Holy Spirit of the New Covenant (Acts 7:51-53) pushed the crowd to attack Stephen, Saul may have been the ranking Jewish leader who participated. Some scholars explain this violent reaction by taking later issues and importing them into Acts 7. For example, some have argued the Jewish Christians were admitting Gentiles without circumcision. This seems unlikely, since there is no reference at all to Gentile mission by the Jerusalem Church until Acts 10. God-fearers were accepted into the synagogue without circumcision, so it is unlikely this would be a problem for Paul, if it had occurred. Similarly, some argue Gentile believers were breaking food laws. This is unlikely for the same reasons as the first, there is no evidence of Gentile converts in the pre-Pauline period. This is an issue in Galatians, but that is perhaps 15 years after the stoning of Stephen and concerned Jews and Gentiles eating together. A more likely motivation is the possible political / social problems caused by the preaching of a crucified messiah / savior. How would this play before the Gentiles, especially the Romans? Could this be an accusation against Rome, and a possible rally-point for anti-Roman activity? The problem here once again is the lack of evidence for preaching anything to Gentile / Roman audiences. The early apostolic mission was confined to the temple area and the city of Jerusalem in general. It is probably best to see Saul opposing the Apostolic teaching as heretical. That Jesus was the Messiah was absurd, since he was crucified, “hung on a tree,” and therefore a curse, not salvation. Saul’s motivation is to correct this false teaching within Judaism, using the synagogue punishment system itself. He likely sees himself as a reformer, working for the high priest, with the goal of dealing sharply with the followers of a condemned Rabbi. Why did Paul Persecute the Jewish Christians? It is probably best to see Saul opposing the Apostolic teaching as heretical. That Jesus was the Messiah was absurd, since he was crucified, “hung on a tree,” and therefore a curse, not salvation. Saul’s motivation is to correct this false teaching within Judaism, using the synagogue punishment system itself. He likely sees himself as a reformer, working for the high priest, with the goal of dealing sharply with th followers of a condemned Rabbi. Why did Paul go to Arabia? Paul: At the Feet of Gamaliel? Acts 12:1-2 - Why Did Herod Kill James?